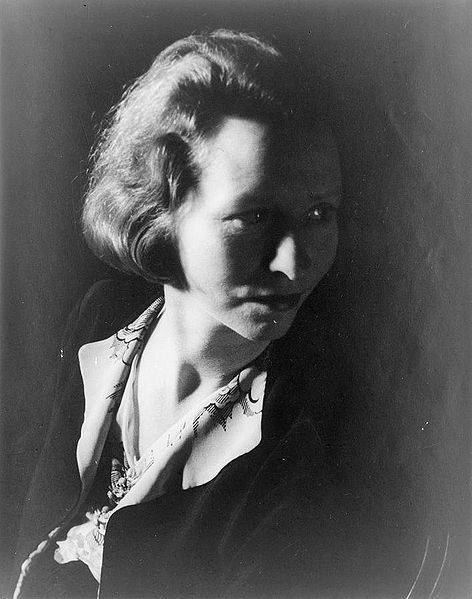 Edna St. Vincent Millay (1892 - 1950) was a poet and playwright and the first woman to win a Pulitzer Prize. She began publishing poems while still in high school and earned a full scholarship to Vassar based largely on a single poem, called "Renascence." Part of a prominent group of artists and writers who lived in Greenwich Village, Millay was as famous for her bohemian lifestyle as for her writing. She spent the last half of her life entertaining fellow artists with her husband at Steepletop, their pastoral New York estate, which is now a National Historic Landmark. Ah, Edna once again taps the nail into place with her pen! I'm *always* ready to go . . . I somehow think that if one is content with reaching out in one's own space there is little need to travel. However, I think I might hop on that train when it came along. I'm with Edna St. Vincent Millay and somehow hope to get on the next train to somewhere. This poem of hers is a wonderful prompt. Ah the wanderlust, the wonder and the lust so succinctly spoke. Edna St Vincent Millay is one of my favorite poets. Her biography, "Savage Beauty" is so interesting. I love the poem and its imagery. Such wonderful writing. I can understand the sentiment and feel it. However, I'm content to stay where I am. At this point in my life.